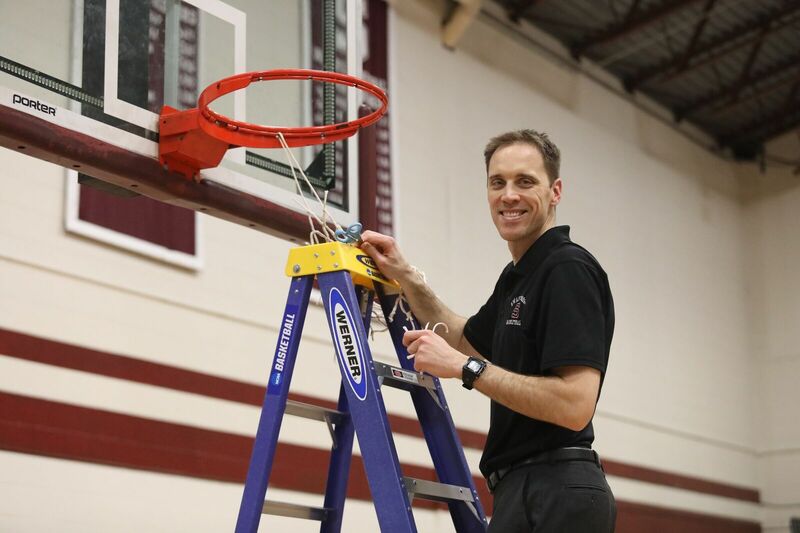 In his sixth season coaching the Garnet, coach Landry Kosmalski led the men’s basketball team to a Centennial Conference championship and a national championship appearance, the best season in school history. A history major and forward at Davidson College, where he is third all-time in rebounds, he has played professionally and coached in Europe also serving as assistant coach at Davidson. 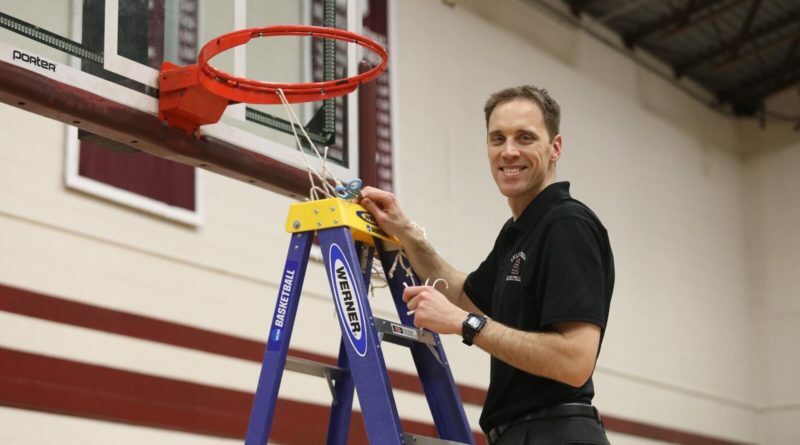 Swarthmore is his first head coaching job at the college level. He sat down with the Phoenix recently to discuss his career and recent tournament run. JS: What got you into basketball, and then coaching? LK: I played a lot of sports growing up, and my dad actually played in the NBA, so basketball was always my favorite, and I was taller. When I was playing overseas, I was trying to think of the next thing, and it really really just seemed natural, I realized it was just what I wanted to do my last year of playing, and I was fortunate Davidson had a spot when I was finishing up my playing career overseas. JS: Where did you play overseas? LK: I played in Sweden for three years, and then for one year in France. JS: Did you enjoy that experience? LK: Oh yeah, it was awesome, life changing … I coached one year in Sweden. JS: What led you to choose Swarthmore when you were looking for a head coaching job? KM: It just seemed to be good. It was very similar to my alma mater, Davidson, a liberal arts school. I liked that it’s located next to a big city but it’s a suburban campus. And when I came on the visit it seemed very similar: good people, beautiful campus, good relationships, so it seemed like a really good fit. JS: What were your goals for building the basketball program when you arrived? LK: It really just started with trying to establish a culture irrespective of the results. I think we always try to make decisions based on how it impacts our future as a team, as a program … We really devalued immediate success so we could build something that we thought could last. JS: You’ve been to Division I March Madness twice at Davidson, do you feel like it was more or less pressure for you in the DIII tournament? LK: It’s always a little more pressure when you’re the head coach … I think they did a good job of making our guys feel special with the locker room, and the nametags, the hotel situation, the bus situation, the banquet … all of us, players and coaches, will remember that for the rest of our lives. JS: Anything you want to tell fans leading into next season? LK: We’re incredibly grateful for the support we received from the community, from the students, from the faculty, from the administration. I think from going some other places and seeing how other people do it, I think we have the most support, and the best following in the country, so I’ve been really grateful for that, to be a part of the community, to get people excited, and to draw people together.